This easy slow cooker pot roast is finished with a simple sour cream sauce. 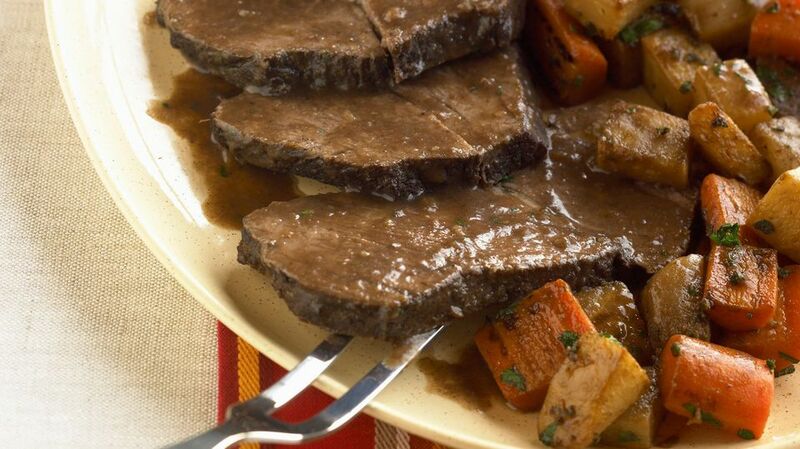 The savory, creamy sauce makes this slow cooker pot roast flavorful and creamy. Potatoes and carrots are included in this recipe, making it an excellent one-pot meal for a family. Place the roast in bottom of a crockpot; sprinkle with salt, pepper, and garlic powder. Add potatoes, carrots, and onions. Spoon the cream of celery soup over the onion layer. Combine the sour cream and milk; stir into the juices and continue cooking for 20 minutes, until heated through.